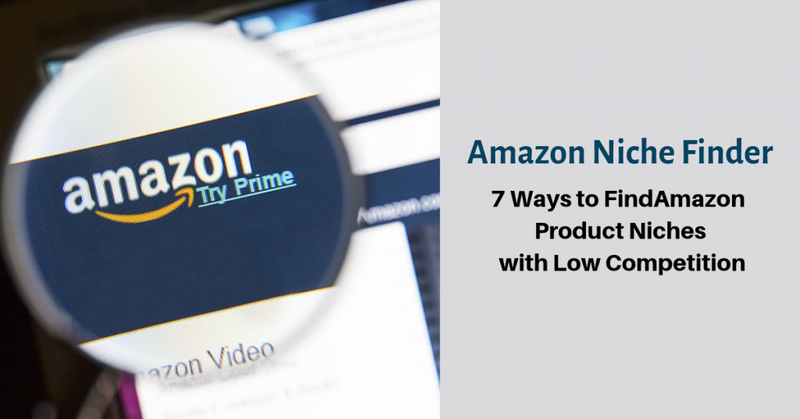 All Amazon sellers want to find a product niche that is profitable and faces low competition to reap the benefits and start selling products. You can make a lot of money quickly by selling products with low competition and high demand. However, the question is how do you go about searching for this ideal Amazon product niche? That is something you can try doing manually but it will take up a lot of your time. The other method involves using an automated research tool which will allow you to find a profitable niche swiftly and efficiently. One of the best tools you can use in your search is the Amazon Niche Finder. It is an extremely useful tool that will make to the task of finding the Amazon product niches with low competition easier. However, you must first begin things by using your imagination. Whether you’re thinking about starting to sell in a new niche or looking to create your Amazon niche website, the main thing you should focus on is passion and interest. Once you manage to find a niche that interests you, the next step would be to check its competition and profitability. When you’re using your imagination to search for a niche, you should start thinking about things you can see, use, touch, and have fun with. Search for inspiration around and inside your home, public places, workplace, and everywhere you go. You should observe people and notice what they wear, their typical routine, and what they enjoy doing. Identify their hobbies and interests as that will give you a better idea of what they might want. Search for niches in these categories since products in such categories provide people with happiness, satisfaction, and joy. It’s important to pick a niche using a different approach i.e. looking at the problems people face in their daily lives along with the source of those problems. Then, you should pick a niche that can offer the best solutions to these individuals. After you’ve highlighted the items using your imagination skills and ideas, you should research the items that people tend to buy from online retailers and from brick-and-mortar stores. For instance, most people prefer going to a store to shop for clothing since they want to check if it fits them well. However, if they want specific night-vision binoculars, they would be browsing the Amazon website for better deals. In this manner, you can narrow down the list of products and improve your Amazon niche research. If you’re reading this article, you must already know that Amazon has some of the best product niches. However, finding one that is profitable and has low competition can be a difficult task since there is so much data to go through with so many different categories and sub-categories. To make things easier for you, we are going to highlight the different ways in which you can find Amazon product niches with low competition. Any niche on Amazon could be a good one. However, with so many different products on Amazon, it becomes a problem to choose the best one. New sellers on Amazon find it difficult to find out where they should start from. They get lost in the data and, subsequently, give up on niche research. This is a great place to begin your niche research as there are several top-selling products in main or sub-level categories. If a product has a good selling ratio, it means customers are searching for it and it has a great demand on the e-commerce platform. You’ll find plenty of products on this page which have been released recently and are performing extremely well in terms of sales. This page updates hourly and highlights the best-selling products in the past 24 hours. The products on this page are the ones bought most popularly as a gift. During the holiday season, this page is the one you should keep an eye on. If you’re looking to get into the gift niche, you need to visit this page often. It lets you shortlist gift items for anyone. You can also come across cheap products here which will help you find a niche. This page has the largest selection of items organized nicely in different categories, so you can find these products easily. This page has products that customers have added to their wishlists to buy in the future. The good news is that you can find every niche you’re looking for on Amazon. All it takes is a little time and a lot of research. If you’re searching for the right niche in your category, the best way to go about it is by using the Amazon Niche Finder software. It identifies and calculates the volume of sales that would be generated in a niche. It will also inform how much effort is required to attain the top rank in your chosen niche. All you need to do is enter your keyword in the tool and it will begin analyzing. The software will analyze the data against the keyword and will offer important stats such as sales volume and the amount of Amazon reviews for the products in that niche. It is important that you understand the data shared in the Amazon niche research properly since it can get confusing. If you’re looking for the ideal niche to start with, then look for high sales volume in top products and a low review count. However, if there is a high review count with a high sales volume of the product, it will be harder for you to rank the product higher, making the niche undesirable. If that happens, you must repeat this entire process and shortlist different niches to find one that is profitable for you. It’s not going to be easy to find an Amazon product niche with low competition. Here are our 7 methods through which you can find a profitable one. It’s important to follow your passion when you’re looking for an Amazon product niche. To find the right product category, you must be passionate about it. For instance, if the quality of camping mats disappointed you, then you will know what kind of quality your supplier should provide you with. You should select products you can improve and discuss. Most importantly, you should be passionate about selling products in this niche. Let’s assume that you have two decades of experience in electronic items. What would be the first product you would choose? It would obviously be an electronic item because you have experience with that product category. We believe that it’s important that you have experience with the products in your chosen category as well as a passion for selling them. If you’re selling a product online, you should be able to answer the inquiries and questions coming from your customers. So, when you’re starting your business, you should focus on picking a niche in which you have great industry knowledge. It doesn’t matter if you don’t have much experience in any industry since you can choose hobbies. If you have taken part in some activities like camping or weight training, you can start off in those categories. There’s no point in worrying about industry experience, social media following and having a passion for a product category. There are several people who experienced the same thing initially and are now successful in their industry. A good approach towards researching and brainstorming is to list your interests in a notebook. Writing them down may seem old-fashioned but it is one of the best way s of generating ideas. You should get subscriptions to newsletters from businesses that sell or talk about products that interest you. Soon, you will be able to compile a list of product ideas in that niche. You can also start researching about selling prices, consumer demand, and existing products using local shops, Jet.com, eBay, Amazon, and tools like Jungle Scout. If the product doesn’t have much demand, what is the reason for that? If you can enhance the product, you should make a list of improvements after looking at reviews and taking feedback from your family and friends. Once that is done, you should look for a supplier. You might come across products that have no demand and can’t be improved upon. However, you feel that you can sell the product. In this scenario, you should trust your gut feeling and ask your friends. You should look for a supplier, once you’re sure about the product. Jungle Scout is an advanced tool that is extremely popular among users for navigating Amazon and searching for the best-selling products. You can streamline product research since it can be integrated with the Google Chrome browser as well. The Jungle Scout tool can extract categories, FBA fees, sales volume, sales rank, and more. The tool is only available on Amazon.com and can track sales in every country where Amazon has a presence. Jungle Scout provides various tools to users. These include the Chrome Extension and the ‘Niche Hunter’ feature. It’s a paid tool which has helped users confirm the validity of products they want to sell. The Chrome extension is the best thing about the tool as it allows you to install and scan categories on Amazon easily. There is plenty of data at your disposal revealed by the software which includes everything from potential profits to sales per month and more. The best thing about the software is the ‘Opportunity Score’ which informs sellers about whether a product is worth pursuing or not. The score ranges from 1 to 10 and any product that is below a 7 isn’t worth it. The market could be saturated but you can still find plenty of hidden gems with great scores by using this great tool. There are several trade shows held every year in different countries. Here you can meet with suppliers, check out the products, and discuss details about models, prices, and more. Apart from that, these shows are a source of inspiration to budding sellers. You can find local trade shows with a simple Google search and then check their upcoming events and apply for tickets. You may need to show a business card with your contact details but you can easily order them online. Suppliers get a good impression of you when you go to a show prepared and present a professional image to them. You can also find products by going out to a local store or a shopping center. When you’re starting your own business, it requires you to work even when you’re out with your family and friends. You should always be searching for products. If you find something interesting, search for it later. Another great way to find ideas is through traveling. When you go out of your state or country, you will come across products that aren’t available locally. You should also check out existing products and find out if you can make improvements on them with a design trend. For instance, let’s assume that you search online for ‘design and interior trends 2019’. You will check out the websites with detailed reports and check what trends are popular for that year. For example. You can combine an existing product with a design trend. So, if floral patterns are popular in 2019, you could sell pillow covers or bed sheets with floral patterns. Similarly, if the color ‘pink’ is popular in 2019, you could sell products in that color. If vintage is a popular trend in 2019, you could find decorative items in the lighting or furniture categories. Present them in vintage colors or style them in that manner. All you need to do is search for a potential and interesting niche and then implement a design trend into the product. Another thing you could take advantage of is Google Keyword Planner and Google Trends. All you need to do is type in the keywords and look for monthly searches. If you find something with greater search volumes, it means you can sell that product easily. The AmzNicheFinder is an amazing tool and is extremely helpful when it comes to finding a good Amazon product niche with low competition. The tool was designed to help Amazon Sellers find great niches by researching sales and products. The AmzNicheFinder works a little differently. It provides you with about 20 different Amazon categories in a bar on the left. This is great for you since it allows you to discover important factors in various subcategories. You can search for how many products are available, the average price of a product, and how many sales each niche is getting. All of these are important for understanding if a niche has potential. Once you’ve managed to find a suitable niche with low competition on Amazon, you should start tracking products to analyze their data. You can do this by adding suitable keywords with the products you’re tracking and keep reviewing the rank of the product. You will also manage to find Amazon product keywords that can be ranked easily on the top position and identify which keywords are difficult to rank because of high competition. You should check the rankings on Amazon since it will provide you with a good idea on whether the niche you have selected has a good customer base. You should ensure that the products you have chosen have demand in the market. You can use the FBA calculator in tandem to check for product profitability. Now that you’ve gotten to this point, you don’t have any further excuses about having difficulty finding Amazon product niches with low competition. You can’t say that it’s difficult to find niches or you don’t know where to start. We have tried to make things easier for you so you can start getting your own ideas as well. If you follow the steps, you can easily find plenty of interesting niches and products on Amazon. You should note down every niche or product you find interesting and think has the potential for high sales volume. Keep a track of your ideas since there are times when a niche that isn’t performing well at a certain time may become profitable in the future. Using the Amazon Niche Finder tool, you can find out the level of competition within a niche and how profitable it is. 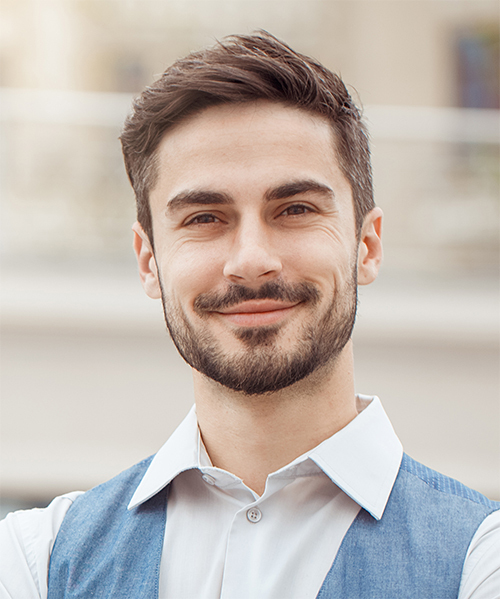 If you’re thinking about expanding your business on Amazon or selling on Amazon to find other niches, you should try the Amazon Niche Finder tool for your products. It will help you in finding the most profitable products that you can sell on Amazon.